The LeBaron and the Spirit were two car models that were hand picked by Dodge to lead the 1990s. Each made use of the 2.5L inline 4-cylinder engine for power. Very few passenger car engines have made it to the 100 horsepower mark. Most trade fuel economy for power and performance. Dodge knew that to win over fans of the Tempo by Ford it had to have something better to offer. For 6 years the Spirit was produced and we have a supply of these Dodge Spirit 2.5L engines for sale in our warehouse. Not many dealers have these engines in stock and you can get them from our company for less. While the Spirit and LeBaron were eventually phased out, the Lancer and Aries were two later models that made use of the 2.5L engine. 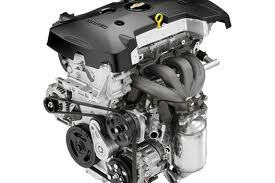 Chrysler knows how to design low cost engines that perform well and that is one of the reasons we sell these engines. There are not many Dodge vehicles that sit dead on the side of the road and that says a lot about the quality of the components and the engine as a while. Our inventory quality is just as good as what a warranty center or actual Chrysler dealership would have for sale. Each of our used or rebuilt Dodge engines are in that good of condition. There is no way that we can determine how great an engine operates unless we test it. They might look great, but something inside could prevent the engine from optimal operation. We are known for our quality and innovation here and we don’t settle for what could be. We make it happen even at our cost. Every engine goes through an investigative process to assure us that the quality is really what we stay that it is. We have found that we don’t have complaints from our customers after receipt of our engine shipments. The installation is easy and each engine is guaranteed to fit perfectly into a Dodge Spirit. Our process of remanufacturing is also what certifies all of our rebuilds. We take all precautions necessary during the building process. We clean the block, all non-damaged parts and get each engine ready for the build. We apply OEM parts when the worn out parts are removed. Each 2.5L that is rebuilt is then dyno tested. We test high and low speed idle to assure us that our rebuilding skills are what they should be according to Dodge. We are left with an engine that is in the same class as a new engine. Our customers around the world have the confidence and faith in our engines just like we do. We know why you ended up at our website. You are searching for the lowest pricing. We can give it to you right on this website. Use our Spirit engine quote form to get your instant price. Just give us a few details and we give you a price that is unbelievable. You can call toll free at 1-877-630-3873 if you want to retrieve our price over the phone. Here at www.carenginesforsale.com quotes are fast.